Dyer’s Greenweed is an attractive, small, shrubby member of the pea family. 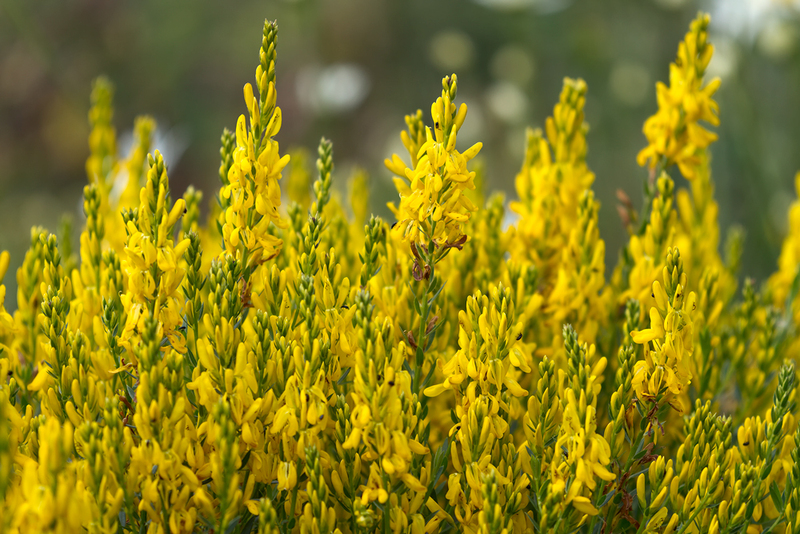 10-50cm tall with a rounded stem, simple leaves and an erect raceme of rich yellow flowers it can be distinguished from Petty Whin or a diminutive Gorse by its lack of spines and from a small Broom by its rounded stem. Flowers from June to August. A native, deciduous shrub found in a variety of grassy habitats including rough pastures, old meadows, heaths, road verges and field margins. It likes heavy soils that are calcareous to slightly acidic. Dyer's Greenweed has, as the name suggest, been used since Saxon times to colour wool. 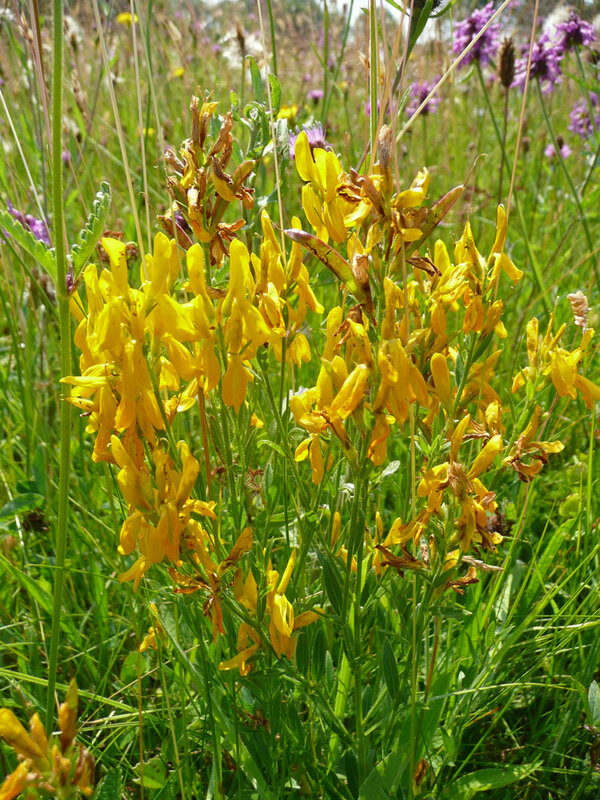 All parts of the plant yield the water-fast pigment luteolin which was used either on its own to produce yellow or in combination with Woad to form a strong green colour. 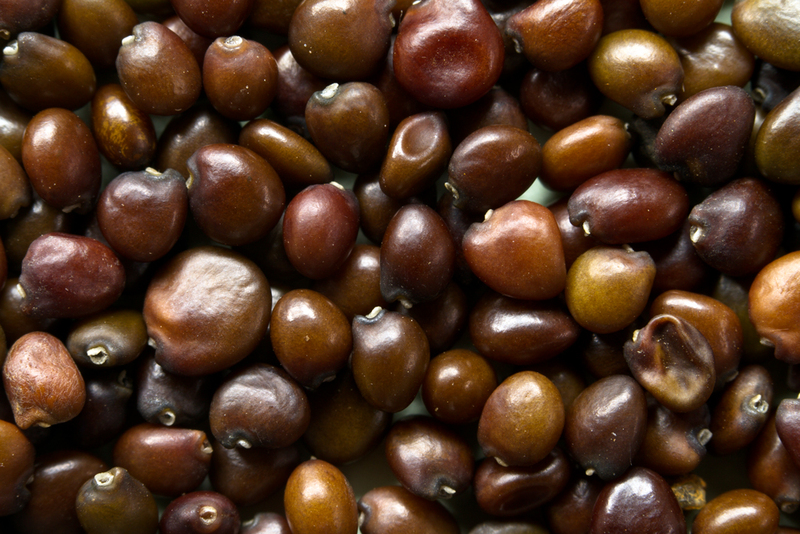 Easy to grow from seed but germination can take some time due to hard coat dormancy. Germination can be speeded up with a light scarification. 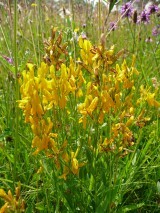 Dyer's Greenweed is a little susceptible to frost and requires warmth and a good sunny position.